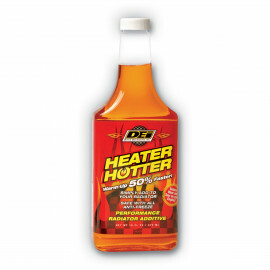 DEI's highly acclaimed Water Wetter product line has expanded with the addition of several thermal additives designed to increase the cooling efficiency of any stock or aftermarket radiator. Reduce engine temperatures up to 30°F with new anti-foam formulas using corrosion inhibitors. Today’s petrol and diesel powered motors aren’t as efficient as we’d like them to be but using DEI’s Radiator Relief thermal chemicals can increase the cooling systems efficiency of any vehicle by working with the radiator to lower engine operating temperatures up to 30°F! 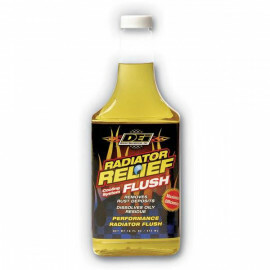 Before you upgrade to a performance fan or larger radiator try DEI Water Wetter products. Now available for petrol and diesel engines. If you find any DEI product cheaper anywhere else, call us on 01727 827717 and we'll price match for you. Prevents core corrosion Prevents electrolysis Prevents mineral build up Maximises thermal transfer to lower air intake temperatures Simply add to intercooler water .. 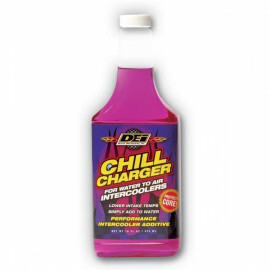 Accelerates transfer of heat from engine to heater Improves engine warm-up time by 50% Simply add to radiator Safe with all types of anti-freeze Helps reduce engine wear..
DEI Water Wetter Radiator Relief in 16oz bottles for petrol or diesel engines at CAM Auto is formulated with a corrosion inhibitor that reduces mineral deposits. This is the first additive tha..
Removes rust deposits Dissolves oily residue Restores cooling system efficiency Simple to use 100% biodegradable ..